Because wearing them will make you happy. 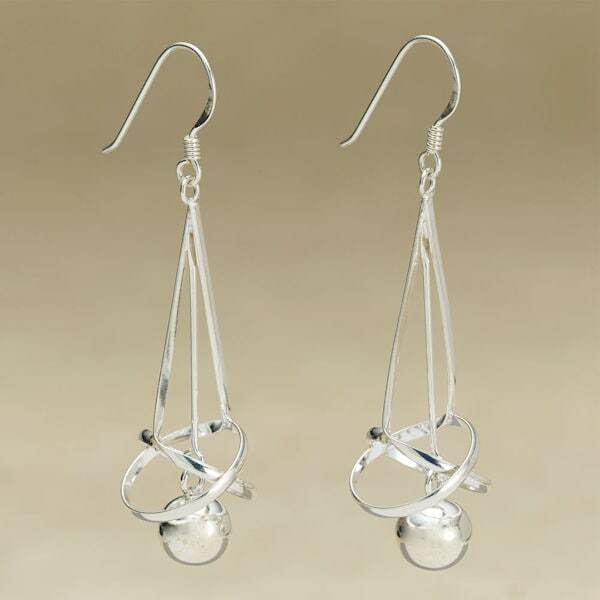 Tiny sterling silver balls dangle between ribbons and loops of polished sterling silver. 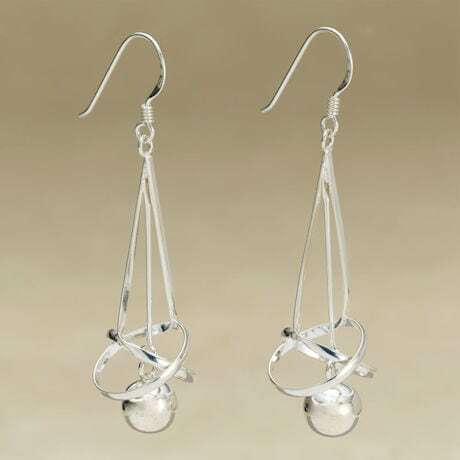 Streamlined, contemporary earrings hang 1 ½". Made in Thailand.